Nationwide Building Society has increased its five-year fixed rate ISA, which now pays 1.65% upon its anniversary or 1.64% monthly. Savers can invest from as little as £1. Additions are not permitted, but early access to funds is allowed subject to closure of the account and a 365 days’ loss of interest penalty. Transfers in from cash and stocks & shares ISAs are permitted. This deal is for savers aged 16 and over and can be operated in branch and online. Savers looking to invest their tax allowance early could find this latest launch from Nationwide Building Society just what they are looking for. Paying 1.65%, this deal is highly competitive and heads straight into the Moneyfacts.co.uk Best Buys. Savers should however note that whilst early access to funds is allowed, a large penalty is payable, so they should ensure they have enough funds left over for life's little emergencies. Family Building Society has launched a new 18-month fixed rate bond, which pays 1.52% yearly or 1.51% monthly. Savers must invest from £10,000 up to a maximum of £150,000. Additions and early access to funds are not permitted. This deal can be operated in branch, by post, by phone and online. Paying 1.52%, this 18-month fixed rate deal from Family Building Society is highly competitive and therefore earns a place in the Moneyfacts.co.uk Best Buys. This is a great option for anyone looking for a short-term home for their savings. However, with no early access to funds, savers must be happy to part with their deposit for the entire term. 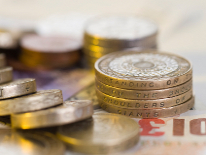 Skipton Building Society has launched a new two-year fixed rate mortgage, which is priced at 1.98% to 30.6.19. This deal is for first and second-time buyers who wish to borrow at 80% loan-to-value. No fee is payable and an incentive package offering a free valuation is available. This deal comes with the flexibility to make overpayments of up to 10% of the outstanding balance and take payment holidays. Borrowers with the required 20% deposit will be delighted by this latest launch from Skipton Building Society. Priced at 1.98%, this deal sits comfortably in the market. The addition of no fee being payable and free valuation is likely to make this an attractive option for many. Chelsea Building Society has reduced the rate on its five-year fixed mortgage, which is now priced at 1.79% to 30.4.22. This deal is for first and second-time buyers who wish to borrow between £25,001 and £5 million. A fee of £1,695 is payable, all of which can be added to the advance of the mortgage. An incentive package of free valuation and a £250 cash rebate is available. This deal comes with the flexibility to make overpayments of up to 10%, make underpayments and take payment holidays. The five-year fixed rate of 1.79% from Chelsea Building Society is highly competitive and heads straight to the Moneyfacts Best Buys as a result. What's more, borrowers will also be able to enjoy a decent incentive package which includes a £250 cash rebate, making this a great choice for borrowers not only looking for a low rate but also to keep initial costs down. Tesco Bank has relaunched its current account, which pays 3% credit interest on balances up to £3,000. To receive the 3% interest, customers must fund the account by £750 per month and set up at least three direct debits. For those who dip into their overdraft, an authorised overdraft rate of 18.9% EAR applies. Account holders will also be able to benefit from Tesco Clubcard points on debit card spending. The return of Tesco Bank's interest-paying current account will make many struggling savers very happy. Offering 3% credit interest, this deal makes a welcome return to the Moneyfacts.co.uk Best Buys. Alongside a competitive rate of interest, this account has a good overdraft facility, making it a great all-rounder.